Exhibition Review - Uri Aran: 'Tenants Like These' at Sadie Coles HQ, London till 16 March 2019. Exhibition Review - Jean-Marie Appriou, Kasper Bosmans, Anna Glantz, Allison Katz, Caitlin Keogh, Rosa Loy, Lin May Saeed: 'Splendor Solis' at The approach, London till 23rd Sept 2018. Exhibition Review - Jane Bustin, Alice Cattaneo, Leonardo Drew, Felicity Hammond, Keita Miyazaki, Tulio Pinto: 'Combining Materials' at rosenfeld porcini, London till 10th Feb 2017. 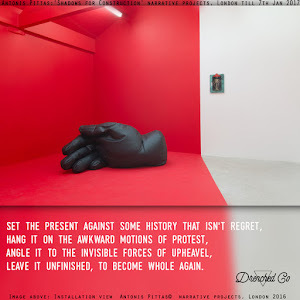 Caption: Image above: Installation view 'Combining Materials' rosenfeld porcini, London 2018. Courtesy of rosenfeld porcini, London. Exhibition Review - Jonathan Trayte: 'SCHUSSBOOMER' at Castor Projects, London till 27th January 2017. Exhibition Review - Yoshinori Niwa: 'That Language Sounds Like a Language' at Edel Assanti, London till 21st December 2017. Exhibition Review - 'Zhongguo 2185' at Sadie Coles, London till 04 November 2017. Exhibition Review - Jeff Elrod at Simon Lee Gallery, London till 21st October 2017. Caption: Image above: Installation view Jeff Elrod Simon Lee Gallery, London 2017. Exhibition Review - Dusadee Huntrakul:'To Dance Is To Be Everywhere' Chan + Hori Contemporary, Singapore till 8th October 2017. Exhibition Review - Anne Samat:'SULTANATE IN THE EYE MONARCHY AT HEART' Richard Koh Fine Art, Kuala Lumpur till 21st August 2017. Caption: Image above: Installation view Anne Samat Richard Koh Fine Art, Kuala Lumpur 2017. Exhibition Review - Anne Neukamp:'The Familiar Object' Marlborough Contemporary, New York till 24th June 2017. Caption: Image above: Installation view Anne Neukamp Marlborough Contemporary, New York 2017. Exhibition Review - Ann Cathrin November Høibo at Carl Freedman Gallery, London till 17th June 2017. Caption: Image above: Installation view, Carl Freedman Gallery, London, 2017. Credits: Copyright the artist, courtesy Carl Freedman Gallery, London Photo: Mariell Lind Hansen. Exhibition Review - Group show:'The problem with having a body / is that it always needs to be somewhere', The Approach, London till 14th May 2017. Exhibition Review - Mat Chivers:'Harmonic Distortion', PM/AM, London till 16th April 2017. From Svetlana Boym's Off-Modern Manifesto. Caption: Image above: Installation view Mat Chivers© PM/AM, London 2017. We take great care not to harm the image in any way. And these views, they are ours only and not those of the gallery or artist. Exhibition Review - Saad Qureshi:'time | memory | landscape', Gazelli Art House, London till 16th April 2017.
you can't see but own. "- Drenched Co.
Caption: Image above: Installation view Saad Qureshi© Gazelli Art House, London 2017. Exhibition Review - Amelie von Wulffen:'The misjudged Bimpfi', Studio Voltaire, London till 2nd April 2017. Exhibition Review - Florian Roithmayr: 'ir re par sur', Bloomberg SPACE, London till 18th March 2017. Caption: Image above: Installation view Florian Roithmayr© Bloomberg SPACE, London 2017. 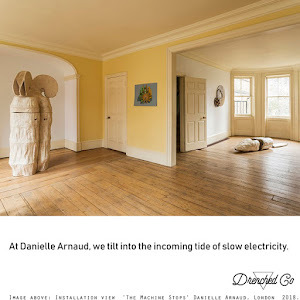 Exhibition Review - Elpida Hadzi-Vasileva: 'An Intimate Gaze', Danielle Arnaud, London till 11th Feb 2017. Caption: Image above: Installation view Elpida Hadzi-Vasileva© Danielle Arnaud, London 2017. Exhibition Review - Christina Mackie, Richard Gasper, Kira Freije, Penny Andrea: 'God's Finger', Kinman gallery, London till 20th Jan 2017. Caption: Image above: Installation view 'God's Finger' at Kinman gallery, London. Image courtesy of Kinman gallery, London. Exhibition Review - Bonnie Camplin, Camden Arts Centre, London till 15th Jan 2017.
caught in the curvature of receding minds. 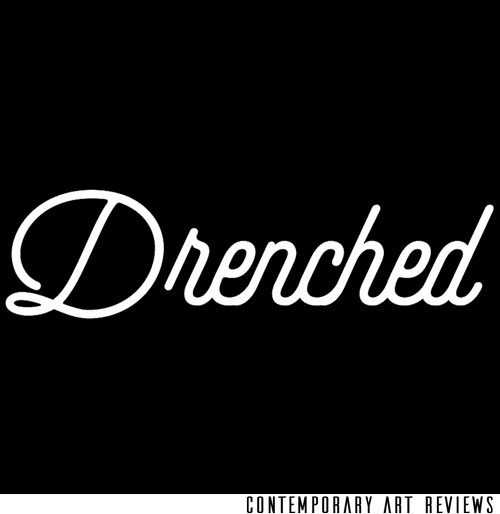 "- Drenched Co.
Exhibition Review - Peter Peri:'Uncting' Almine Rech Gallery, Savile Row London till 14th Jan 2017. 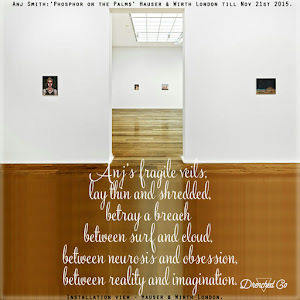 Image courtesy of the artist and Almine Rech Gallery, Savile Row London. leave it unfinished, to become whole again." Image courtesy of the artist and narrative projects, London. Exhibition Review - Hannah Levy and Michael Simpson:'Shall we sit, stand or kneel?' Marlborough Chelsea, New York till 3rd Dec 2016. Exhibition Review - Levi Van Veluw:'the foundation' Rosenfeld Porcini, London till 26th Nov 2016. Image courtesy of the artist and Rosenfeld Porcini, London. Exhibition Review - Toby Ziegler:'Post-Human Paradise' Simon Lee Gallery, London till 26th Nov 2016. Exhibition Review - Orla Barry:'Breaking Rainbows' Temple Bar Gallery, Dublin till 5th Nov 2016. Exhibition Review - Yinka Shonibare MBE: '...and the wall fell away' Stephen Friedman Gallery, London till 11th Nov 2016. Exhibition Review - Jeremy Everett and Fabio Lattanzi Antinori: 'No Not Never None' Kristin Hjellegjerde Gallery, London till 1st Oct 2016. Exhibition Review - Thilo Heinzmann: 'To Be And To Be' Carl Freedman Gallery, London till 22nd Oct 2016. Image courtesy of the artist and Carl Freedman Gallery, London. Exhibition Review - David Korty at Sadie Coles HQ, London till 1st Oct 2016.
between the viewer it's already leaving behind." Exhibition Review - Cathy Haynes, Nancy Holt, Hannah Lees, Zoe Paul, Claire Potter: 'Overlay' White Rainbow, London till 20th September 2016. 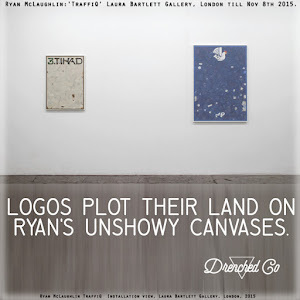 Image courtesy of the artists and White Rainbow, London. Photo by Noah Da Costa. 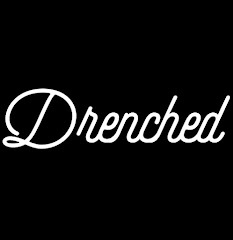 Curated by Jeremy Millar.